A total of twenty-one people have been treated after a former Russian spy and his daughter were poisoned with a nerve agent in the UK, Sky News reports. 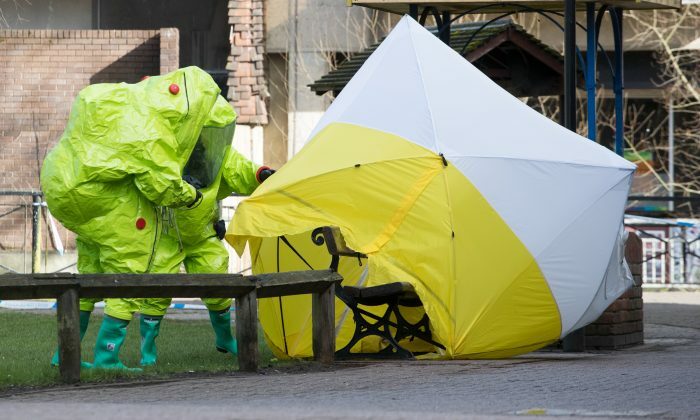 On Sunday, March 4, Sergei Skripal, 66, and his daughter Yulia, 33, were found unconscious slumped on a bench, vomiting and fitting in Salisbury, England after reportedly being poisoned with a “very rare” nerve agent. The two remain in a critical condition in quarantine in a hospital. One of the first responders, officer Nick Bailey, also he fell ill after treating the victims. He was taken to intensive care, where currently he is in a serious but stable condition. Another eighteen people, including members of the public, police officers, and emergency service workers, received treatment as a result of the nerve agent attack, reported Sky News. “Multiple people have been treated, around 21 people, including the man and the woman found on the bench,” said acting chief constable of Wiltshire Police, Kier Pritchard. Pritchard said Skripal, Yulia, and Bailey are the only ones currently in hospital. The attack is being treated as an attempted murder. However, critical details about the crime remain unclear, including who administered the poison, their motive, and how it was carried out. “The use of a nerve agent on UK soil is a brazen and reckless act. This was attempted murder in the most cruel and public way.” she said. Rudd declined to comment on whether Russia might have been involved in the incident, stating that police investigations should be based on “facts, not rumor,” reported the BBC. Russia has denied involvement in the attack. According to the BBC, it may take weeks before the government can comment if there was any Russian involvement. Nerve agents are a class of highly toxic chemicals that disrupt the messaging between the brain and the body. They stop the nervous system working and shut down bodily functions. The unidentified nerve agent used on the pair has been described as “very rare,” and only a few laboratories around the world have the capability for its production, reported Sky News. Two experts told Sky News that they believed this was a professional hit. Skripal was granted refuge by the British in a Cold War-style spy swap at Vienna airport in 2010 . He was one of four prisoners Moscow agreed to release in exchange for 10 Russian spies arrested by the FBI, reported BBC. Russia’s Federal Security Service (FSB) arrested Skripal in 2004 on suspicion of betraying dozens of Russian agents to the British MI6 foreign intelligence agency. He was sentenced to 13 years in prison in 2006 after a secret trial.